Which 70s boyband included the brothers Derek and Alan Longmuir? .... The Osmonds? In 1996, my daily mid-morning show on BBC Radio 2 was given a refresh; I was washed down and perfumed, but as well as that some old features were taken out and new ones substituted. One of the ideas I was keen to include was a daily pop quiz so I invited my producer at the time, Colin Martin and quiz setter and colleague Phil Swern out to lunch to discuss a format that could work on a daily basis. After two bottles of rather expensive red wine, we had virtually developed the concept of PopMaster which, after a few dry runs, was introduced into the programme a few weeks later and has since, we like to think, become one of the high spots of the morning with many thousands of listeners taking their tea break at 10.30 in order to catch the quiz. Thousands of contestants have now taken part and given some weird and wonderful answers (“Which 70s boyband included the brothers Derek and Alan Longmuir?” “The Osmonds?”) Even with the vast number of questions we've already asked, our question setters still managed to come up with some new and even more intriguing head scratchers for the quiz book. 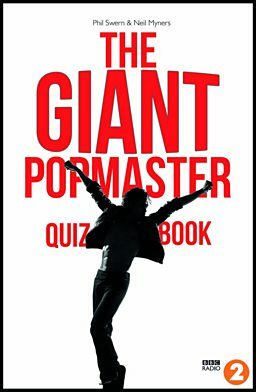 We’ve even taken the quiz on the road; in 2013 I presented a live version of PopMaster in Manchester to raise money for Children In Need which was filled to capacity. But of course, each day on Radio 2 we’re still wanting you to be brave enough to phone up and apply to join me live on air!